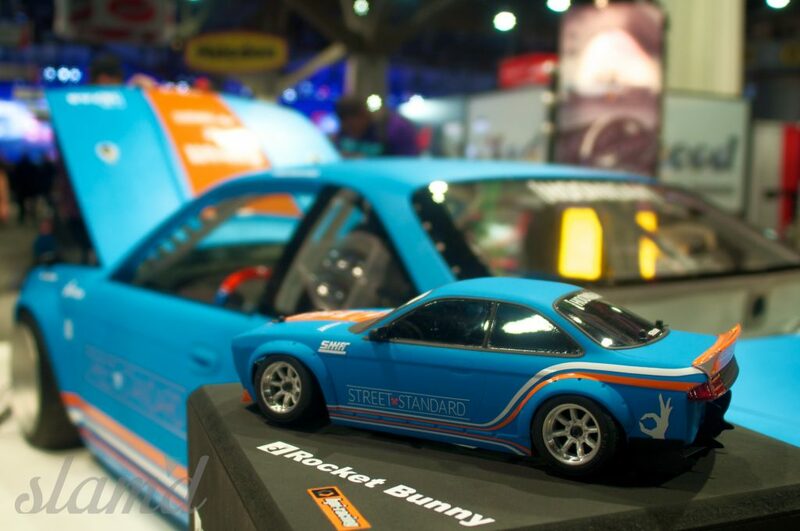 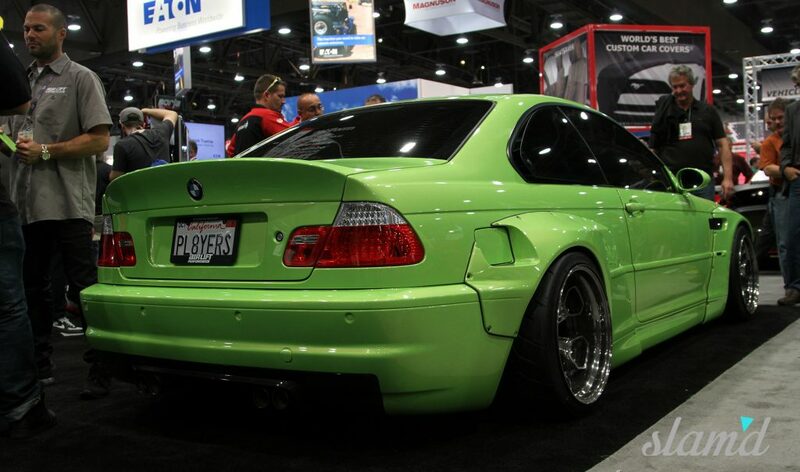 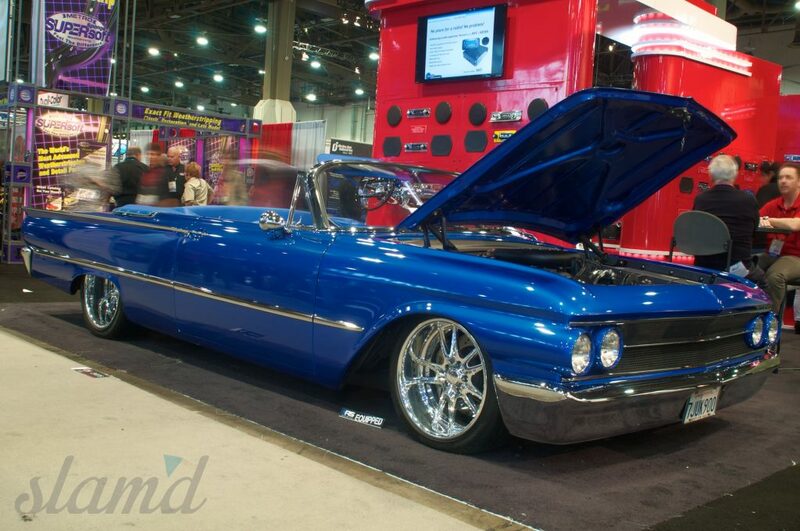 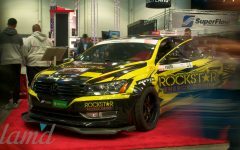 If you’ve never seen rain at the SEMA Show, let alone in Las Vegas before, well you’re not alone. 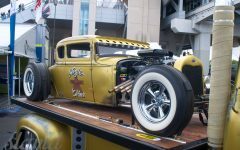 But Mother Nature sure had something to prove as Day Two of the annual show kicked off under threatening skies. 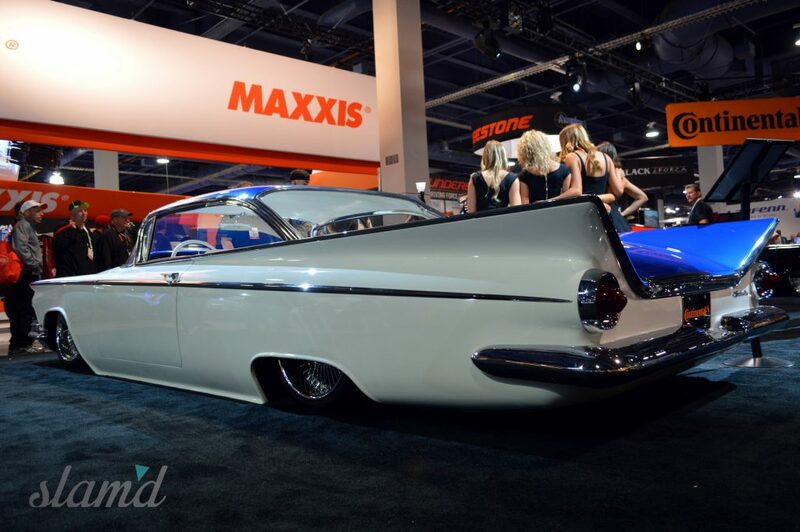 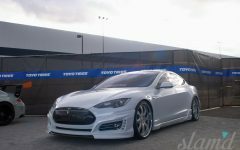 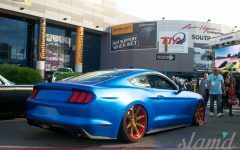 That’s right – it rains here in the desert and SEMA was not without a bit of Mother Nature’s foolery as precious builds on display out front of the show got dowsed in probably the only rain some will ever see. 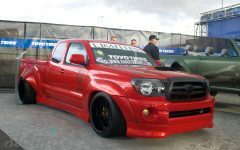 Of course, this was an odd sight for most, as the mere thought of one of these vehicles out in the elements is enough to make one cringe. 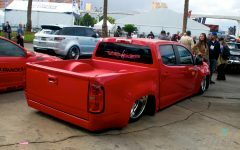 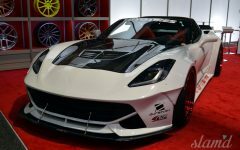 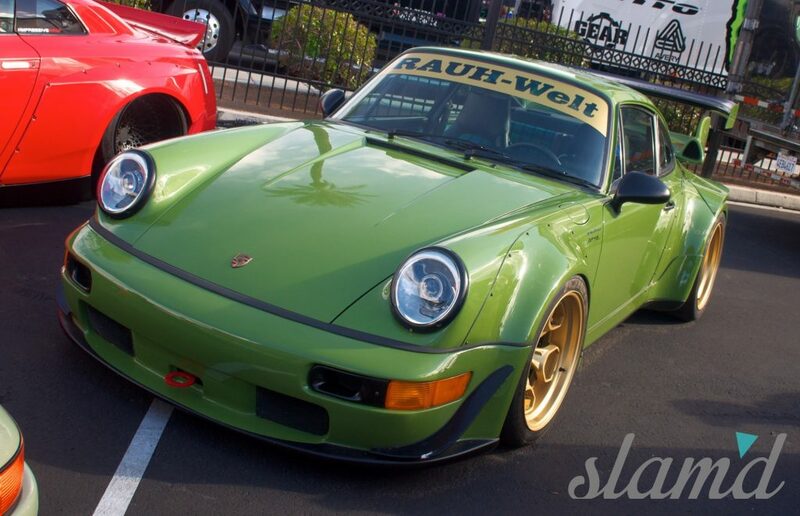 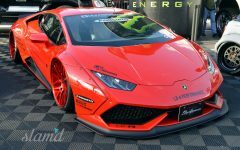 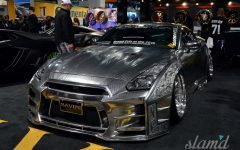 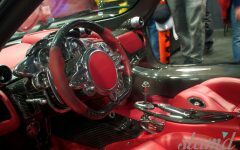 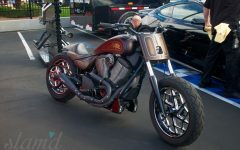 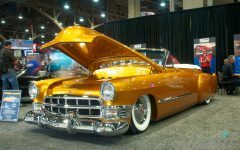 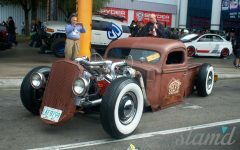 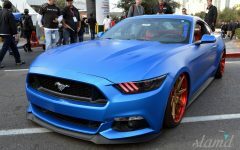 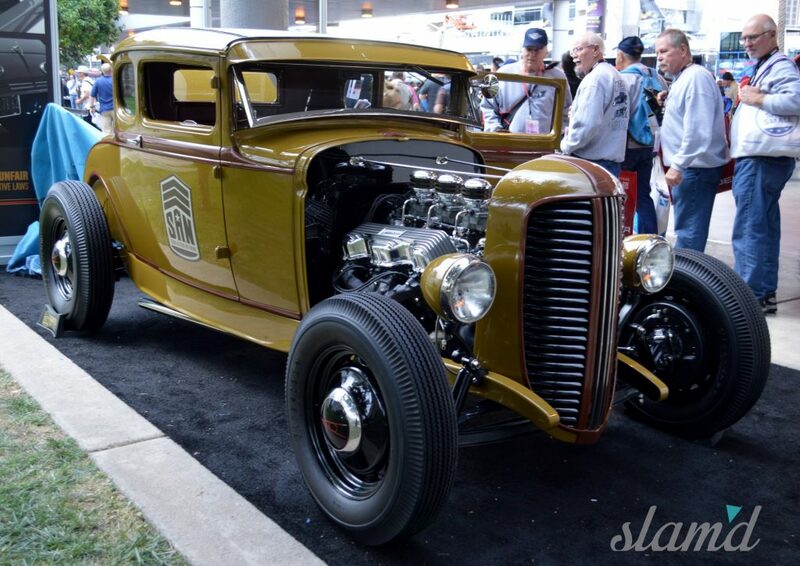 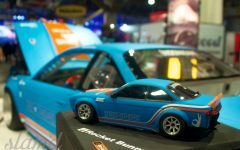 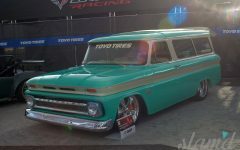 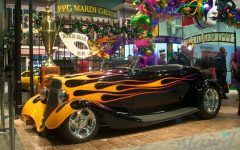 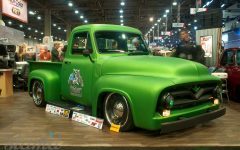 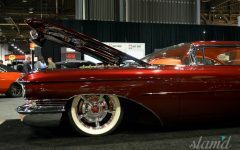 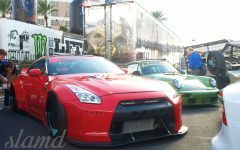 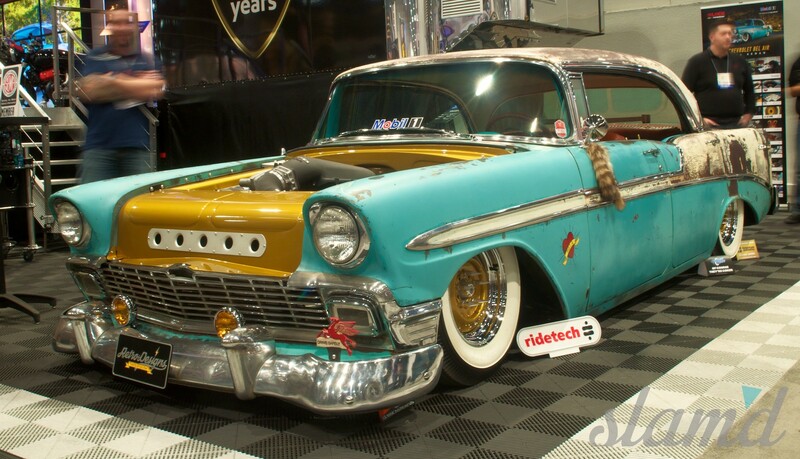 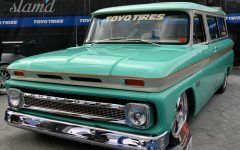 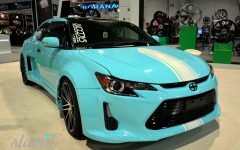 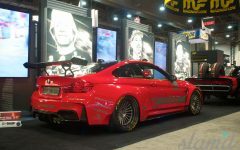 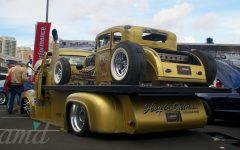 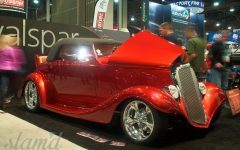 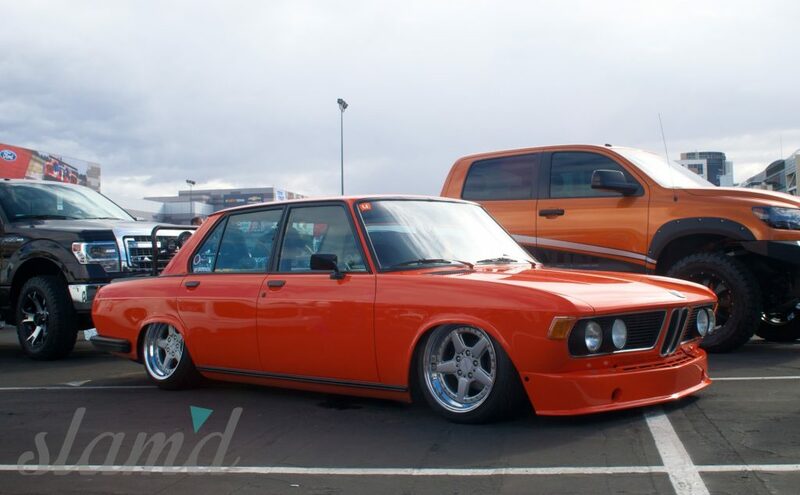 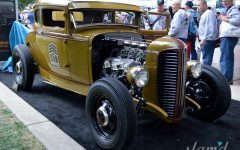 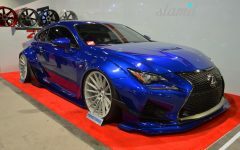 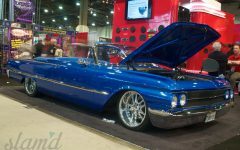 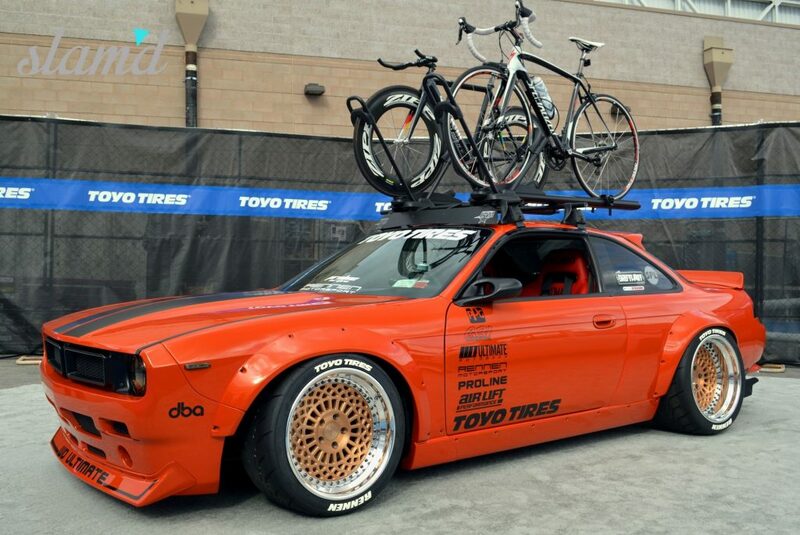 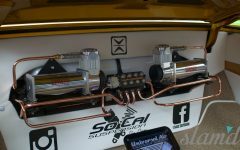 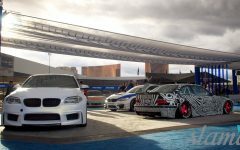 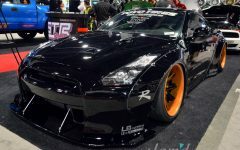 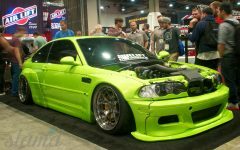 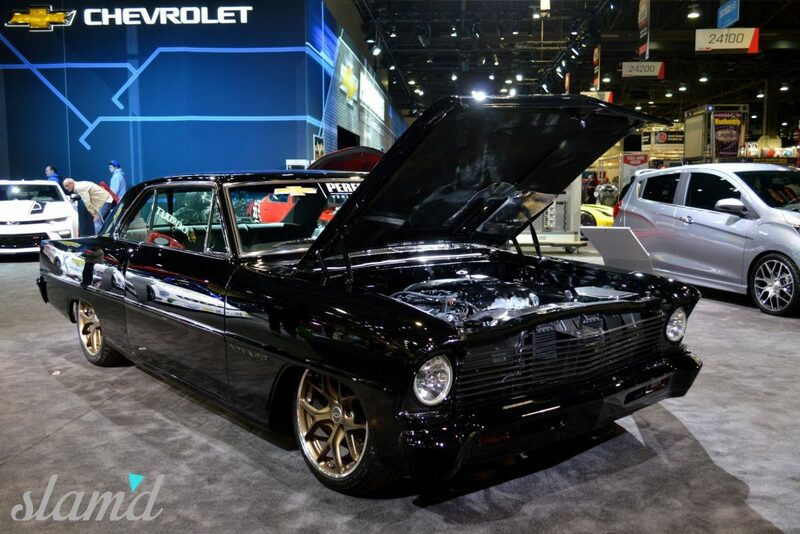 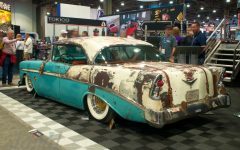 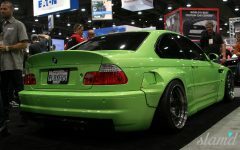 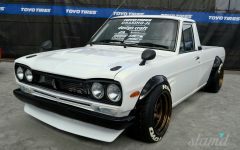 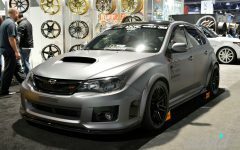 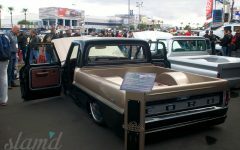 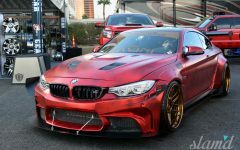 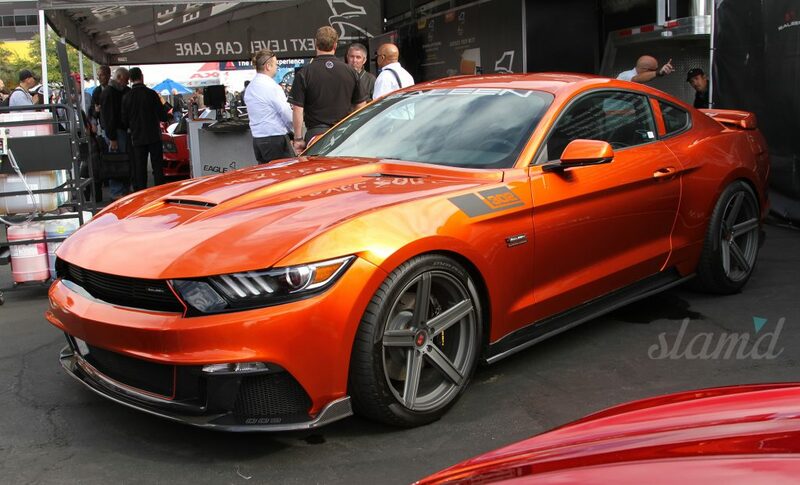 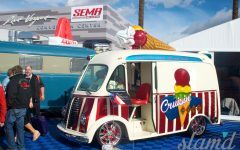 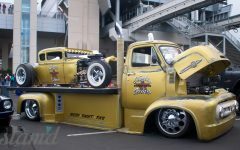 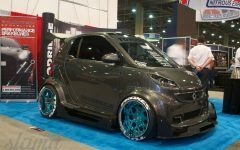 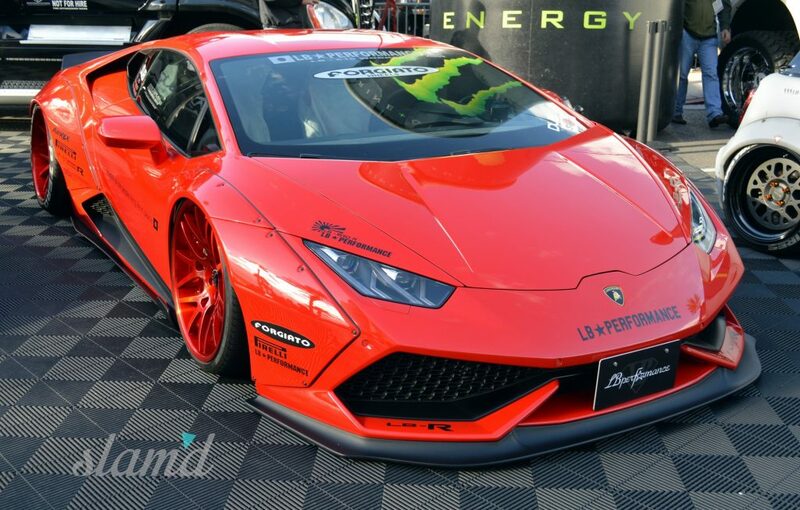 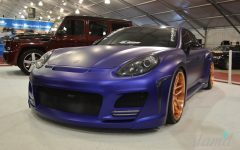 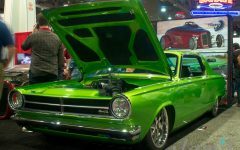 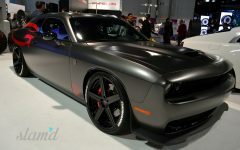 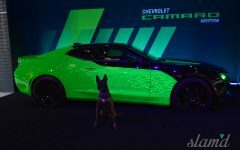 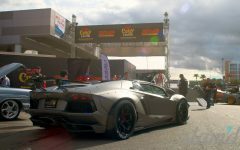 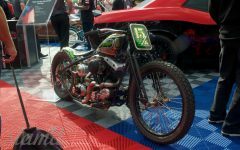 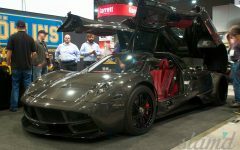 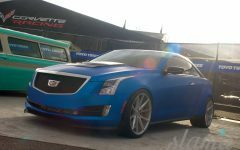 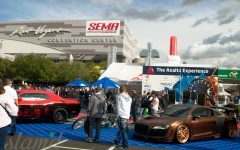 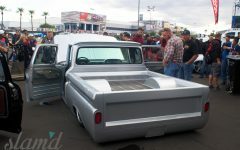 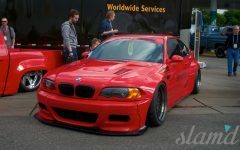 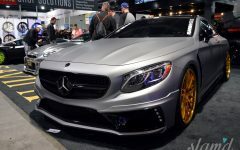 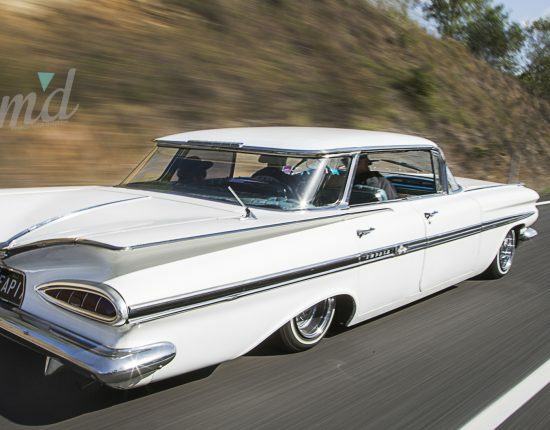 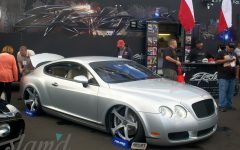 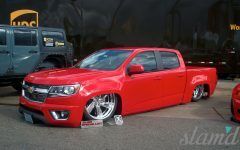 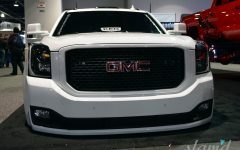 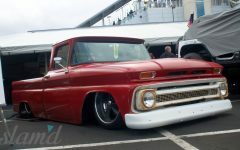 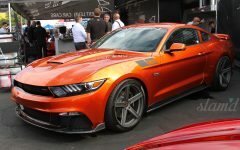 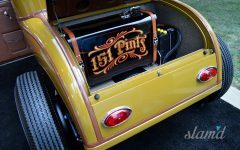 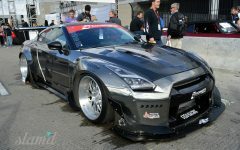 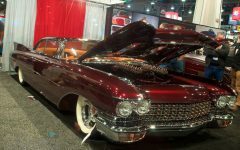 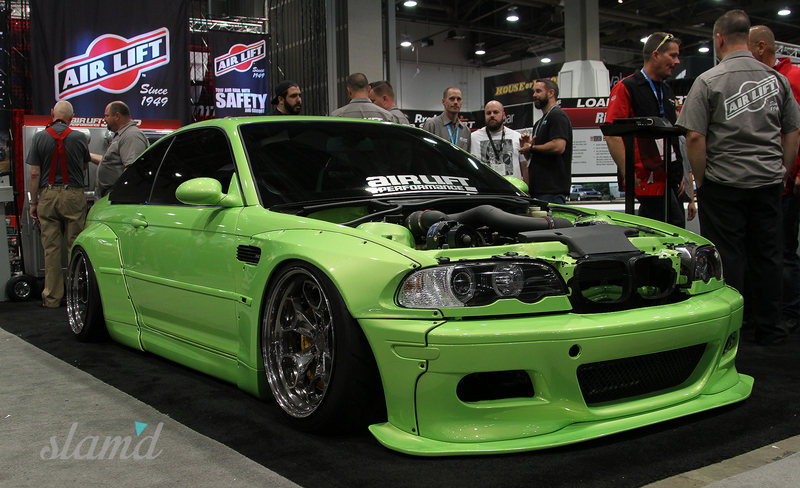 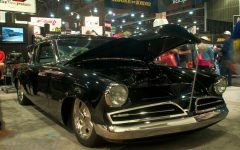 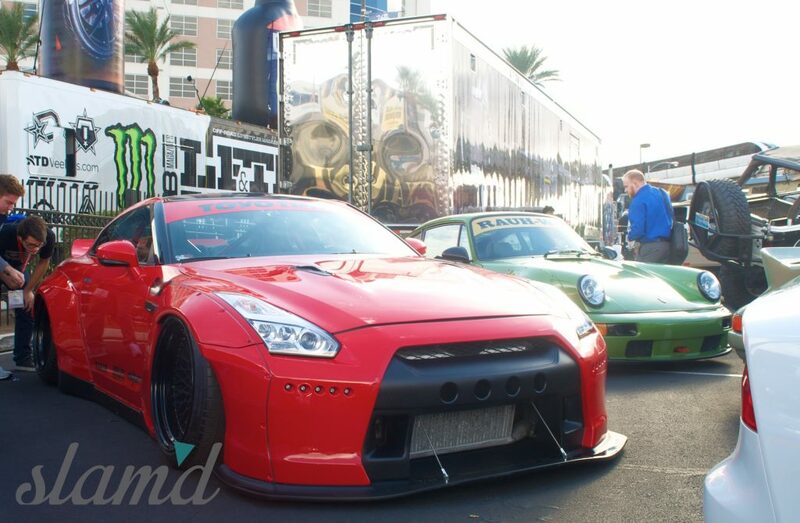 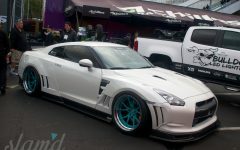 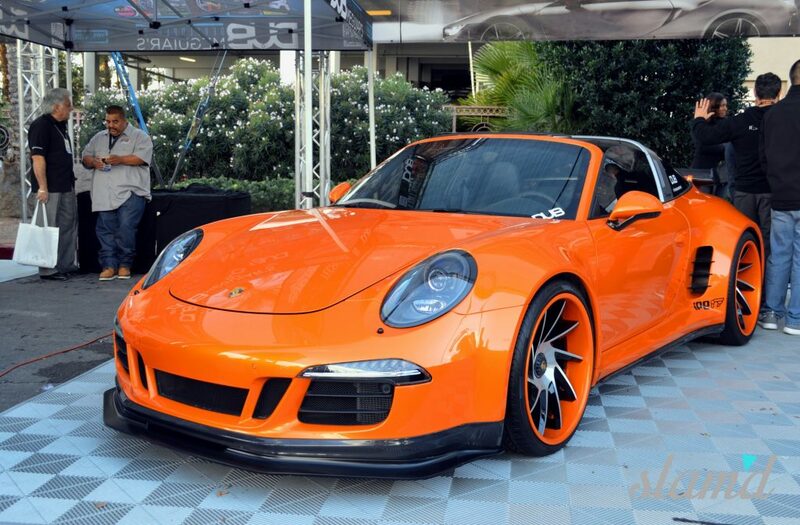 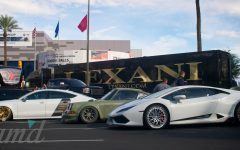 Luckily for builders, vehicle owners, and the thousands of assorted companies represented on site, the rain didn’t scare anyone away for long and the sun came out for what turned out to be one of the SEMA Show’s biggest turnouts to date. 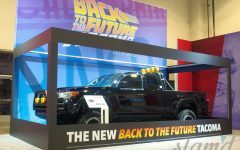 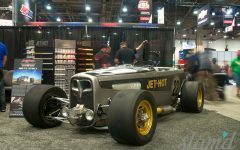 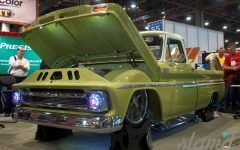 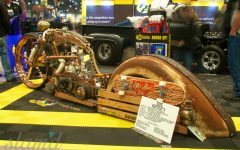 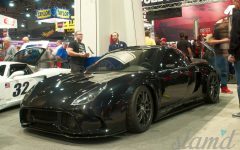 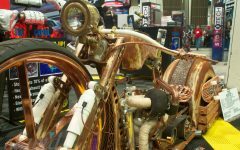 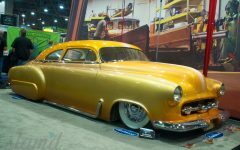 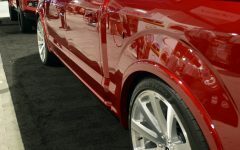 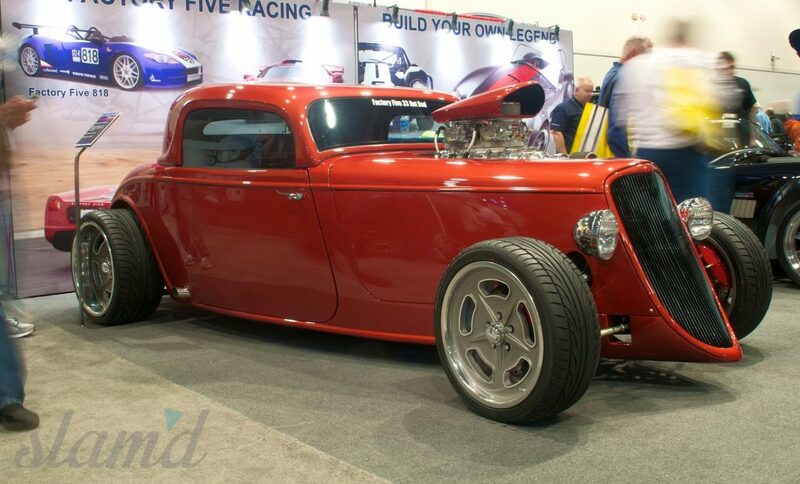 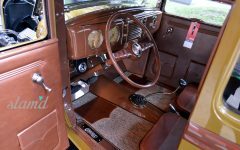 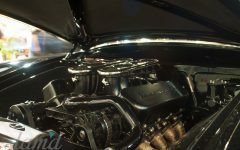 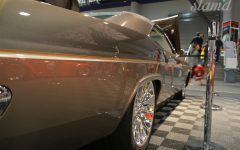 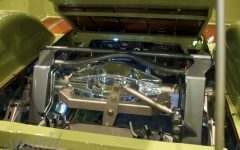 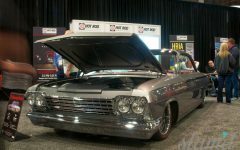 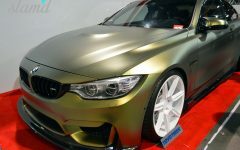 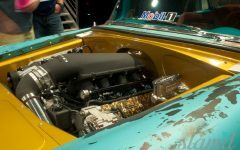 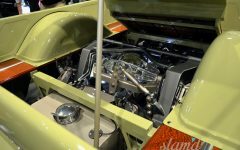 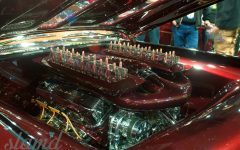 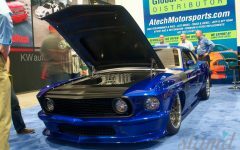 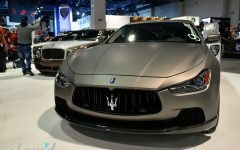 Hitting the show floor hard, Day Two was filled with tracking down Top 10 contenders, sweeping countless aisle upon aisle for note-worthy builds and talking to vehicle owners and companies who turn out the best of the best year round. 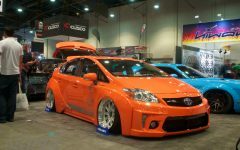 If there’s something that you’ve been dreaming up for your next project build the chances of it being at this year’s show are quite high considering the amount of award winning innovations taking center stage at this year’s new product display. 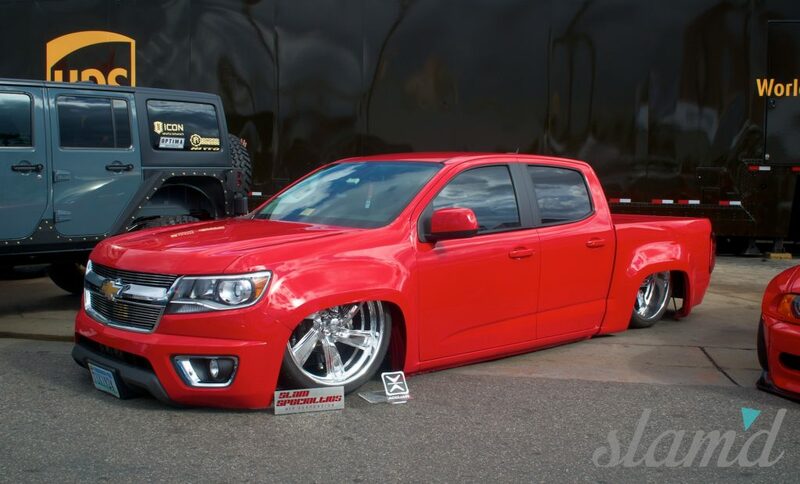 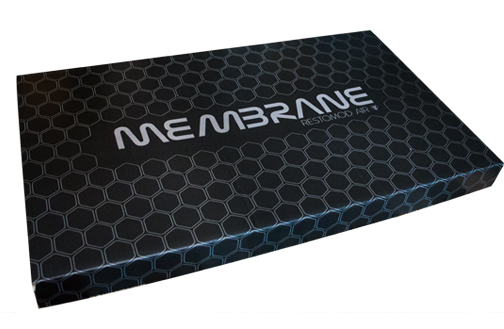 A special Slam’d Mag congrats to McGaughy’s for taking home yet another “Best New Product” award in the suspension category and to Air Lift Performance for being honored with the “Best Packaging” honors for their all-new 3H system, which was on display for all to enjoy. 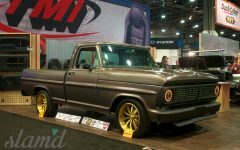 Among the day’s highlights included catching up with KEG Media on a number of their award-winning builds, checking out and covering the majority of the outside areas before the rain came in and we also made sure to stop by and take a look at SEMA Action Network (SAN) lead, Colby Martin’s Ford deuce that he pieced together over the last 12 years with the help of “Pops” and friends. 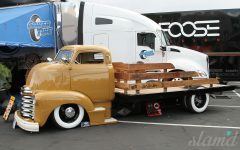 We’ve still got a lot of ground to cover, but we’re right on track to reveal our Top Picks soon! 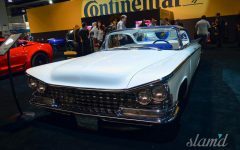 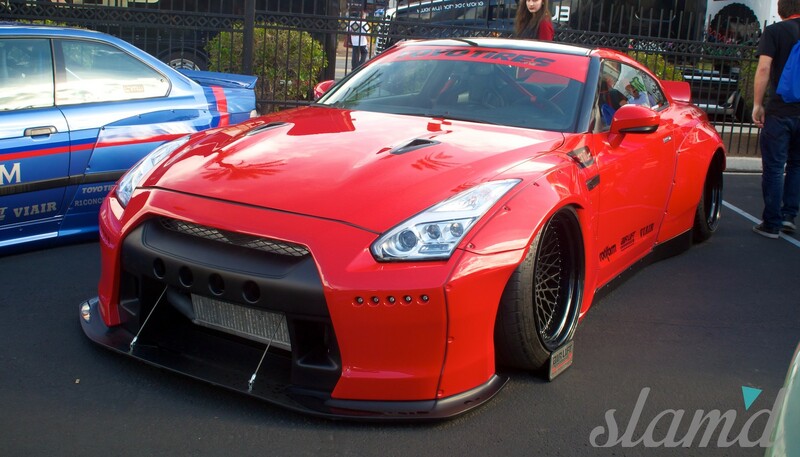 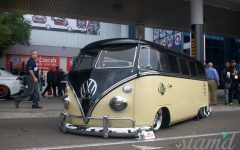 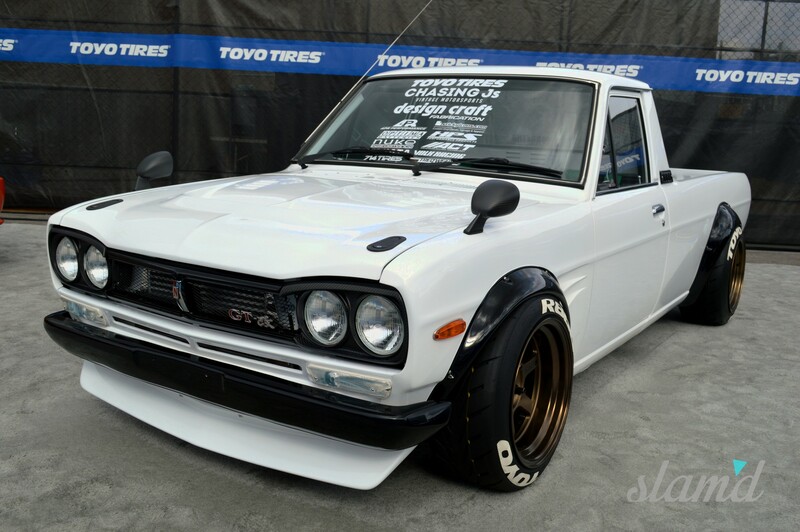 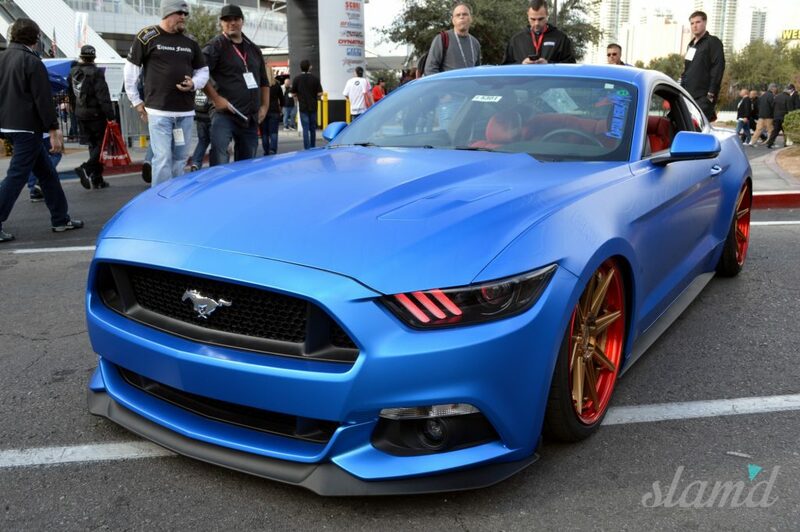 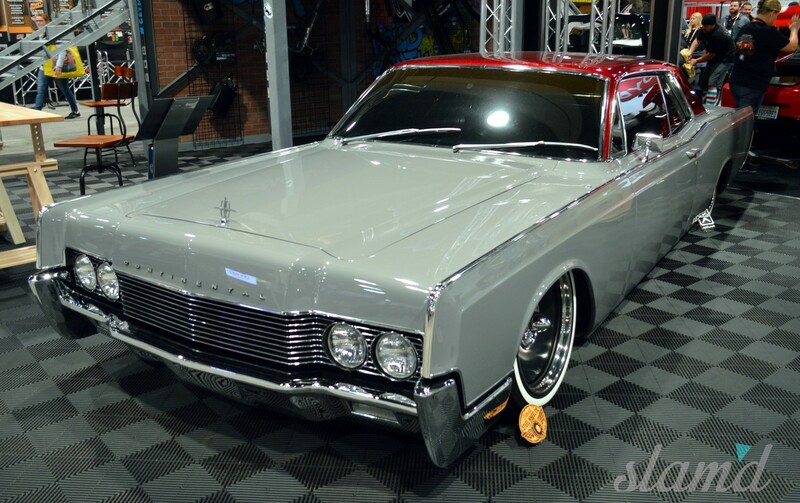 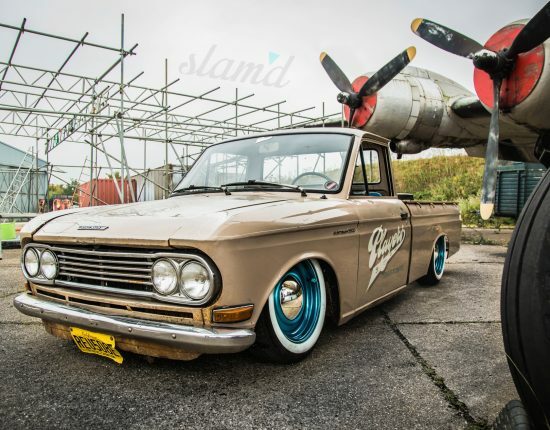 For now, take a look at some of the amazing rides we came across during Day Two in our gallery below.